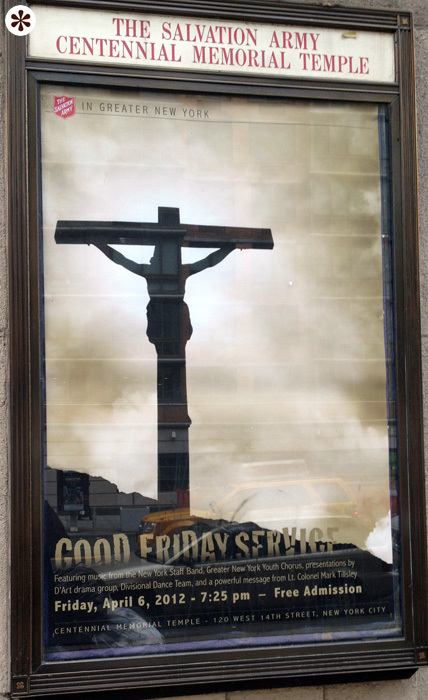 Back in the Spring I came across this poster in Manhattan. Sorry about the disruptive reflections. 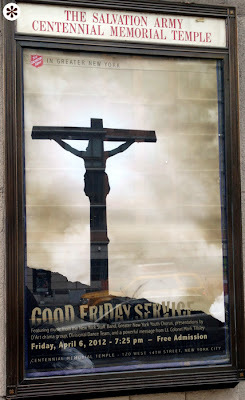 Now, I realize Jesus was sort of the original zombie, what with the whole rising from the dead thing and the “eat my flesh” sentiment, but I have a feeling a Good Friday service isn’t really supposed to convey a horror movie vibe. I mean, you can practically see a putrid, rotting hand busting its way through that ominous typography. Although, who knows. Maybe that’s what it takes to put the asses in the pews these days.